One of my windows was smashed in. So, I called Stan from don carlton Honda who told me to call Glass Works. I received excellent service. The person that took my call was friendly, thorough, and helpful. The service was equally as excellent. I also got a great price. I got your number from Danny from Jaguar I would like express my appreciation and compliments to your tech. and Glass Works Auto Glass for the wonderful job you performed on my Jaguar. Needless to say I am very particular about my car and wanted to thank you personally. I work downtown so I was able to take advantage of their mobile service. My car was done in 1 hour and they even helped me call my insurance and sort out what I had to pay for vs. what they were going to. I had been putting if off for so long because I thought it was going to be such a hassle, but they truly did make it super easy, and now my windshield is crystal clear again. Molly, L., Broken Arrow, OK. I had to replace my car window because some thieves had broken into my car while at LaFortune Park. It was a completely horrible experience to get everything fixed and replaced, but one of the easiest parts was getting my window replaced. Joe was very helpful and sympathetic to my situation. If I ever (heaven forbid!) need to get a car window replaced I will definitely call Glass Works Auto Glass again. 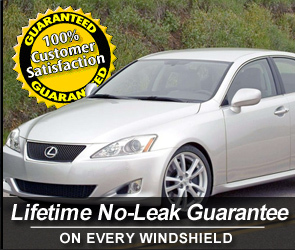 "I have wanted to e-mail you to say how satisfied I was with the service your company provided me last week with the windshield replacement on my BMW. I was worried at first about trusting someone to work on my car I did not know. David from BMW referred you and put my mind at ease. But, I must say I was very pleased with the service you provided and the care your installer took working on my car. Thanks." Candace P., Broken Arrow, OK. I heard about Glass Works Auto Glass through Ford . My car was broken into Thursday night, and they came out on Friday and fixed it within an hour. Great customer service over the phone, and very nice in person. There is no additional charge for at-home service. They even vacuumed out the broken glass. I had a large chip in my windshield. I called Glass Works Wednesday morning at work and they were able to pop over to my office in Tulsa that same day to fix my ding. Not knowing what to expect, the man that came to my aid was very helpful and patient with my questions. Thanks! Some one broke the glass on my truck and I started calling around to check prices. I made about 6 calls and only two shops had the glass in stock. I choose Glass Works Auto Glass because they had the best price and also because the phone person sounded very friendly. The service was great, they replace my window in 45 minutes. They also did a great job cleaning the broken glass out of the interior of my truck. I will definitely use them again in the future. Jim Norton Ford recommended that I call Glass Works Auto Glass to get my passenger side window replaced after it was broken. I was very satisfied with their same day service and that they took care of all the insurance billing over the phone. They came to my house to complete the repair and all I had to do was sign the paperwork. "I just want to email your company and let you know that your installer was on time and did a great job on the windshield replacement. I had to go out of town that night and was really concerned about having the windshield fixed before I left thanks again!" PS Brian from Lexus turned me on to you. "Please forward this to the manager. I’m contacting you to let you know your sales associate was very friendly and helpful, not only was he able to get a tech to fix my door glass the same day, he gave an excellent price compared to the other places I checked." As a woman, I don't know the first thing about car repair. However, Glass Works’ Manager Shawn was very helpful in the process of getting a new windshield for my 2007 Honda Accord. Glass Works price was better than the three others I contacted. Shawn was able to clearly identify that I did not need an extra part (I think it was the molding) saving me some cash. All of the other repair shops would only do the job if I purchased the molding at an extra cost. Way to go Glass Works! First, I called and Joe was extremely helpful! He found and fixed the problem immediately! Extremely polite and knowledgeable. They are definitely not after your money... but they sincerely want to help you! I encourage you to see them for your glass issues... I know I am going back! Thanks a Million Joe for your help and may God bless you and your business!!! A real downside of living on Riverside is the number of car windows broken out. So I have had way too much experience with autoglass replacement. Never less, the experience we had with Glass Works was positive. The service was quick and the price was reasonable. Mary, R., Sand Springs, OK.
Good service, they had me back on the road as promised. Joe the owner was very helpful by answering all my questions and explaining the procedure. Best Price and Service.